Click above to follow us on Instagram! Please click on the button above to shop our online store. Larklain Mobile Veterinary Services is a privately owned mobile veterinary practice, dedicated to improving the quality of life of your companion animal and the bond you share share with him or her through individualized, comprehensive, preventive health care, prompt diagnosis and treatment of illness and injury, multi-modal management of chronic conditions and interactive client education. 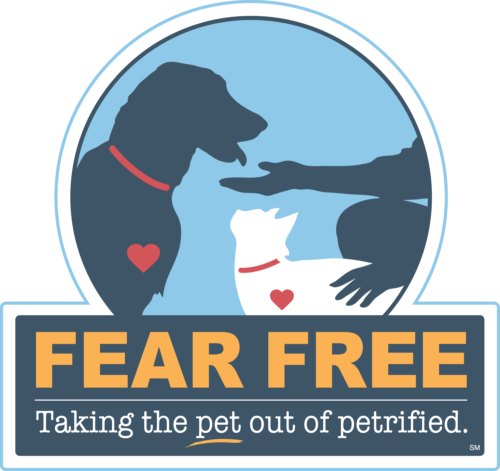 Our mission: To practice proactive, compassionate veterinary medicine, utilizing current diagnostic and therapeutic approaches, in a Fear Free environment. We provide a broad spectrum of diagnostic procedures through in-house testing and the use of external laboratories. In addition, we work closely with local practices when special diagnostic and/or therapeutic procedures are indicated. LMVS has both in-house and online pharmacies for the convenient dispensation of medications. We are passionate about keeping your canine and feline companions healthy and happy AND making sure you know why we make the recommendations we do for your dog or cat. Larklain Mobile Veterinary Services is named in honor and memory of Dr. Lyon's dog. 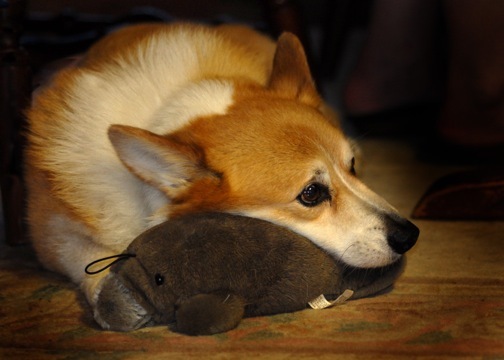 This wonderful canine companion, who succumbed to congestive heart failure at the age of 14 in 2012, was shy and fearful of unfamiliar sights, sounds and people. LMVS is dedicated to providing progressive, compassionate, Fear Free medical care to dogs and cats with similar anxieties as well as to those who bound right up to us with tails wagging and motors purring. Click this link to learn more about our veterinarians. Please contact us today to make an appointment for your canine or feline companion! Please refer to the map below to see our projected mobile veterinary services coverage area. This map is by zip code and represents the general territory of our coverage. It may not be feasible for us to access outer regions of some zip codes represented. If you live in one of these regions, please let us know as we may be able to accommodate you!